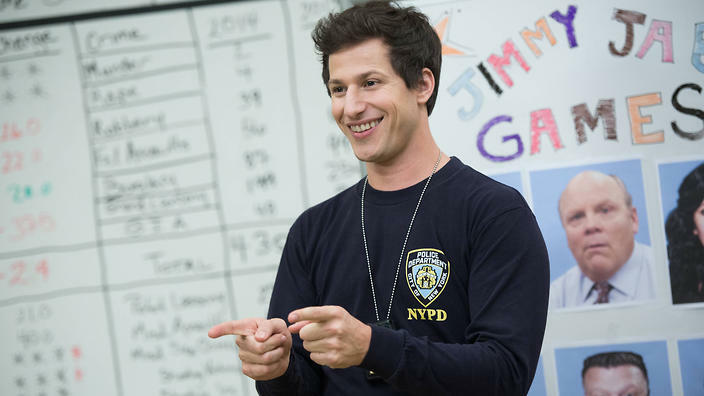 The Nine-Nine are back baby and the excitement is so real I want to Die Hard off the roof with joy. Jake, Amy, Charles, Terry, Gina, Rosa and of course Captain Holt are returning to our screens in the new year for season six of the hit show Brooklyn Nine-Nine. And with NBC releasing the first full trailer today which is a brilliant parody of Die Hard, Jake’s all-time favourite movie, we know we are in for a treat when the squad are back in January. 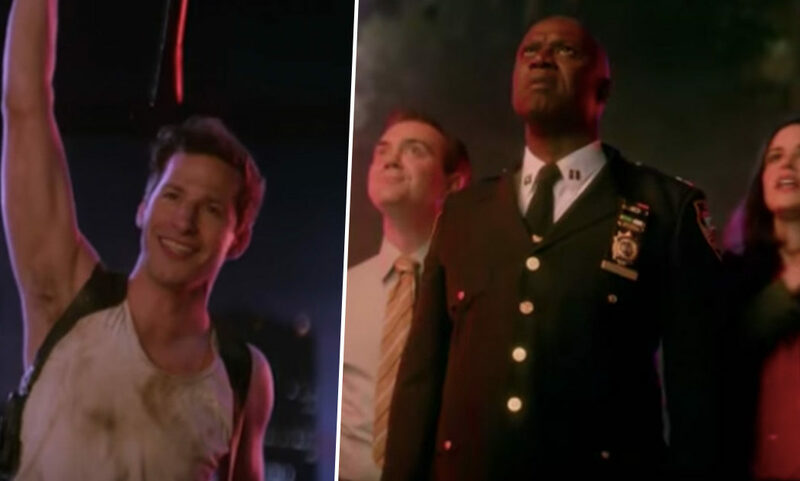 Of course since it is a parody the trailer gives us no clues about whether Holt got the NYPD commissioner job following the cliffhanger at the end of season five. While Holt eventually does open the email after putting it off, his famously neutral and expressionless face meant we had no idea whether he was successful or not with the appointment. Thankfully, we don’t have long to wait to find out as the show is returning on January 10 next year which means it is only a month away. NBC confirmed the release date and a new time slot for the sitcom meaning it will now air at 9pm, the slot currently occupied by the Will and Grace revival. Arguably one of the most important shows of the past decade as it tackles serious issues – some considered taboo – in relation to race, gender and sexuality, fans were devastated when earlier this year Fox famously cancelled it. While the move was shocking because the show was a fan favourite and received excellent critical reviews, its ratings were continually dropping, motivating the broadcaster’s decision. It didn’t take long for NBC to pick it up much to the delight of fans, the cast and crew members. In an interview with Deadline, the show’s creator Dan Goor spoke about the moment he found out the news of the renewal. I was in my kitchen, trying to make myself feel better by reading all the amazingly nice things people were writing on Twitter. It was around 8 PM (11 PM in NY) so we kind of thought nothing more would happen that night. But then… I got a text from David Miner that said NBC was picking up the show. I literally screamed. I was so happy. So excited. It was pure joy. Then I had a bunch of very happy phone calls with Pearlena (Igbokwe) — who was so key to making this happen, Mike Schur, David Miner, and a very, very happy Andy Samberg. Then I wrote thank you emails to Tracey Pakosta (hero) and Bob Greenblatt (superhero), because they did so much work to move the show over to NBC. It was incredible. Although NBC will wait to see if they did make the right decision, we are sure the upcoming season will be just as ace as the ones before! Brooklyn Nine-Nine will be back in America on January 10.